Top of the morning to ya! As I’m sure you guessed, today I have the week 10 RTPC polishes to show because it’s…..THURSDAY, aka Friday Eve!!!! But before we get into the polish, can I get a ‘HECK YA’ for the simple fact that my kids have less than a week before they are back in school!!! September 5th my house will return back to the peaceful, serene and tranquil place that I can enjoy for 6 hours BY MYSELF!!! The only thing that would make it a better day is if I didn’t have to work, but as we all know #adultingsucks and we gotta do, what we gotta do. Tomorrow marks the 1st day of September and September is the month that leads to cool weather, PSL and Polish Con! Can you believe that in 23 very short days, Chicago will be filled to the brim with polish lovin addicts and makers?! Just 23 days! Sadly, I wont be in the mix but I know it will be an event of the ages. Every Thursday since June 29th, I, along with fellow bloggers and swatchers, have been bringing you the highly sought after RTPC series showcasing event exclusives BEFORE the event. So even if your like me and will sitting on the couch on the 23rd, you can get in on the action with these polishes. If you haven’t made a RTPC purchase yet, don’t worry because you can still get your hands on week 9 until 9/2 and get week 10 which I’ll show you right…. NOW! Hey y’all, welcome back! Things sure are heating up as we come into the tail end of the Birthstone Trio series from Turtle Tootsie. Today I have the September trio featuring a gorgeous shade of blue in 3 ways, a glitter crelly, glitter topper and a holo. Good Morning, loves! September is National Ovarian Cancer Awareness month and In Loving Memory of Mrs. Annette Boyce 2/22/61-2/06/11, sister of Anetress Malone of Dainty Digits, I dedicate this post. You may be asking yourself what can you do to help it? Donate! Support! Volunteer! Raise Awareness! Cancer is a terrible, disgusting disease and it affects too many. Too many, mothers, fathers, sisters, brothers, children! WE must stand up and fight to find a cure! I have 3 words for you….. ONE COATER CREME!!! These words are just as satisfying and heart-filling as Taco Tuesday or Pizza and Wings. I come on, you can’t get much better than a 1 coat crème. Sorry, I’ve jumped the gun, so to speak, but my excitement over this polish… I just couldn’t hold it in anymore. Today I have 1 of the many polishes available from a ‘new to me’ brand, Love Potion No 9. 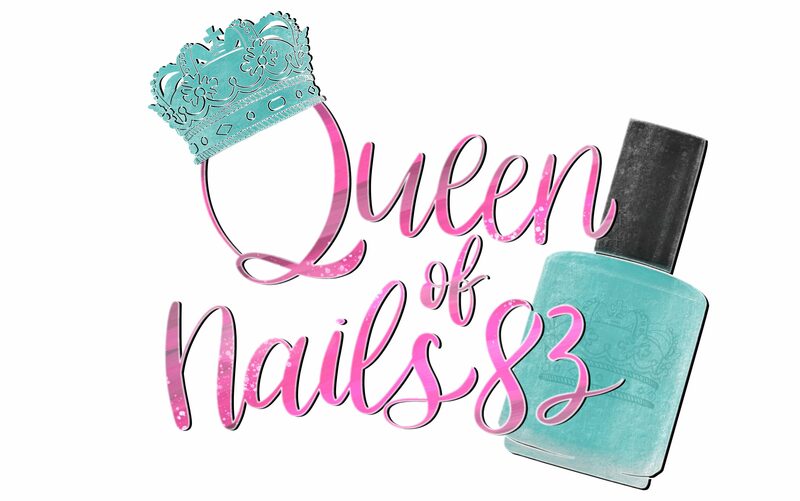 I found out about this brand during my search for WOC Indie Nail Polish Makers. If you haven’t read that post, be sure to do so here, trust me, it’s worth the read.